The Snow Junkies – Ski Free Lift Tickets is Back for 2013! Purchase 10 gallons or more of Shell fuel. Read and accept SKI FREE® voucher terms and conditions by printing and signing your name. Shell station attendant will stamp voucher AND your gas receipt. Take stamped voucher AND stamped gas receipt to ski resort lift ticket window. Purchase one full-price adult lift ticket and receive a second for FREE. 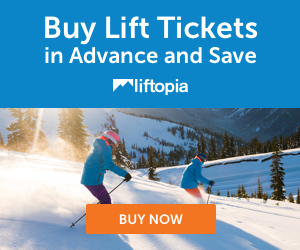 FREE lift ticket and purchased adult lift ticket must be used same day. Both guests must be present at ski resort lift ticket window at time of redemption. Does this deal work with vail lift tickets? No. Vail is almost impossible to find daily lift ticket deals. Got to go Epic Pass at the beginning of the season to get any savings.